“Exactly how awesome is Maryland?” you ask. Conde Nast Traveler has named Baltimore one if its six U.S. cities to watch for 2017. While the usual tourist traps like New York, Chicago, and Los Angeles deal with overcrowded conditions and skyrocketing prices, Baltimore and other towns on the Conde Nast Traveler list “are attracting people with cheaper rents, makerspaces and culinary movements,” the Baltimore Business Journal reports. To know Baltimore is to venture beyond its overcrowded, often underwhelming Inner Harbor area. Head east of the tourist traps, and you’ll find Fell’s Point, a quaint, sett-stone neighborhood dating back to the 1760s. Its imposing Recreation Pier building, once an early 20th-century destination for social events, has been converted into the stately, 128-room Sagamore Pendry Baltimore, the lovechild of Under Armour founder (and Maryland native) Kevin Plank and Montage International — here, you’ll find rooms lined with warm wooden millwork and the odd leather settee, plus water views. Throw in the hotel’s Rec Pier Chop House, helmed by chef Andrew Carmellini, where you and a friend can tuck into a 28-day dry-aged Porterhouse, and you’ve got your evening cut out for you. Plus, Baltimore’s bike share program launched last October, making it all too easy to find yourself in the city’s Little Italy, where a plate of pasta at Café Gia and a fresh cannoli from Vaccaro’s Italian Pastry Shop are just within reach. Looking for a day trip? Try the Guinness Brewery, which will open in the nearby town of Relay come October. Conde Nast Traveler gets extra credit for also including my adopted hometown of St. Louis on its list. Relocation company MoveHub recently named Maryland one of the five best states in the nation for women to live and work. “Calculating factors including the state’s gender pay gap, political representation, reproductive rights, and prevalence of domestic violence, Maryland ranked No. 5,” the Washington Business Journal reported. 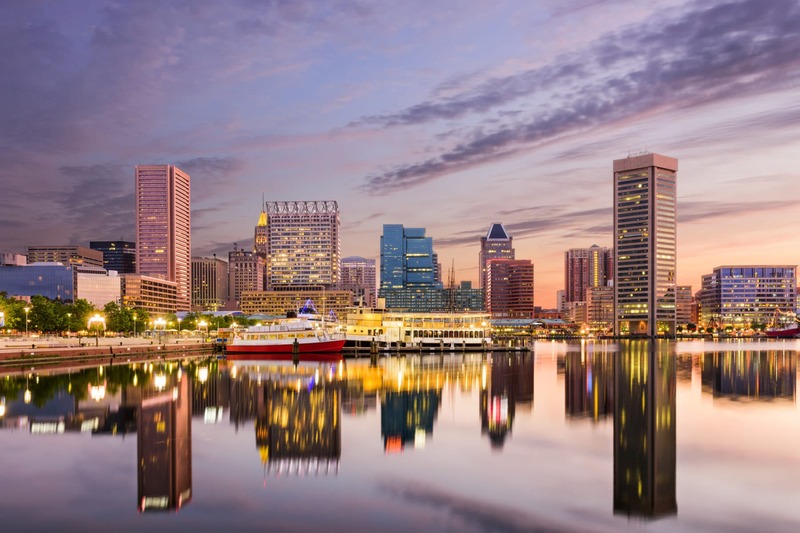 Baltimore ranks sixth on Forbes’ list of the best cities for accountants in 2017, based on its average salary adjusted for cost of living ($47,983) and the number of accounting jobs per 1 million job postings (6,325). The top five are Atlanta, Charlotte, San Jose, St. Louis, and Seattle. So all hail, Maryland — a great place to live, work, and visit.